Her passport said she was Cha Jung Hee. She knew she was not. 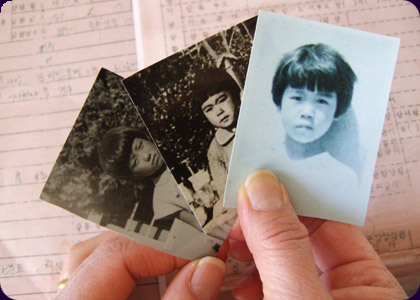 So began a 40-year deception for a Korean adoptee who came to the US in 1966. Told to keep her true identity a secret from her new American family, this 8-year-old girl quickly forgot she was ever anyone else. But why had her identity been switched? And who was the real Cha Jung Hee? In the Matter of Cha Jung Hee is the search to find the answers. It follows acclaimed filmmaker Deann Borshay Liem as she returns to her native Korea to find her "double," the mysterious girl whose place she took in America. Traversing the landscapes of memory, amnesia and identity, while also uncovering layers of deception in her adoption, this moving and provocative film probes the ethics of international adoptions and reveals the cost of living a lie. Deann Borshay Liem is the producer, director and writer of the Emmy Award-nominated documentary First Person Plural, which was broadcast nationally on PBS as part of the POV, premiered at the Sundance Film Festival and received numerous awards including Best Bay Area Documentary at the San Francisco International Film Festival and First Prize at DocAviv. Deann was nominated for an Emmy Award for Outstanding Achievement in the Craft of Directing. Deann served as co-producer for Special Circumstances, which follows Chilean exile Hector Salgado as he attempts to reconcile with former interrogators and torturers in Chile, and co-executive producer on Spencer Nakasako's award-winning Kelly Loves Tony. She also received an Emmy Award for Spencer Nakasako and Sokly Ny's ground-breaking video diary A.K.A. Don Bonus. Deann is a recipient of a Rockefeller Film/Video Fellowship. Charlotte Lagarde is the award-winning producer and director of Heart of the Sea: Kapolioka'ehukai, a documentary about the Hawaiian surfing legend Rell Sunn, which won numerous awards including the Audience Award at the San Francisco International Film Festival, Best Documentary Award at the Ashland Independent Film Festival, and the PBS Independent Lens Audience Award. Lagarde's productions Voting in America, Every Child Should Have a Chance, Tribal Sovereignty: Unplugged and Juvenile Justice: Unplugged are distributed in public schools throughout the US. Her films Swell, about four generations of female surfers and Zeuf, a documentary about a woman surfer's struggle with breast cancer were broadcast on PBS stations and the Sundance Channel. Lagarde was the executive producer of Reporter Zero, nominated for Best Documentary at the Berlin International Film Festival. Lagarde holds an MA in documentary filmmaking from Stanford University.